On behalf of the Board of Directors of AFDVI and DVI’s staff and patients, THANK YOU for your incredible support in 2018! We hope your holidays have been filled with peace and joy and that the new year will be a happy, healthy, prosperous one. Our Virtual Holiday Party continues through the end of the year! It’s never too late to bring healing and hope to Jerusalem’s underserved and special needs children, at-risk youth, and needy elderly, including Holocaust survivors. 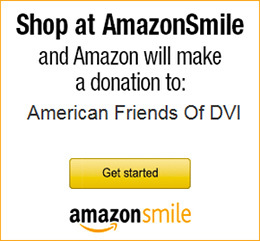 If you can, please make a tax-deductible gift today or volunteer a week at the DVI clinic so we can make more smiles in 2019. Thank you!